Amazon Prime Video is a streaming service that's included with every Amazon Prime membership. It works just like Netflix and other streaming services that provide you with a variety of movies and television shows that you can watch, on-demand, whenever you want. Prime Video isn't a real solution for cord-cutters looking for a television replacement, but it does offer the option to add a limited number of live premium channels. Supported channels include HBO, Starz, Showtime, and others. The main purpose of Amazon Prime is to provide free shipping for purchases made on the Amazon website, but you automatically receive access to additional benefits like Prime Video when you sign up. How Does Amazon Prime Video Work? Prime Video works just like Netflix and other streaming services. It allows you to watch on-demand movies and TV shows via your web browser, a mobile app on your phone, or even on your television with a game console or television streaming device. Amazon offers a lot of content that you'll also see on other services, but it also has movies and television shows that are exclusively available to stream through Prime Video. The service also produces original movies and television shows. Their movies are typically released in theaters before they become available for streaming, but Amazon Originals are only available to stream through Prime Video. The only way to get Prime Video is to sign up for Amazon Prime. If you subscribe to Prime for free shipping, then you already have access to Prime Video. If you don't subscribe to Amazon Prime yet, you can check it out through a free trial. There is no way to get Prime Video without Prime, though, so you'll also get free shipping, Twitch Prime, and other benefits as part of the deal. Click Start your 30-day free trial. Enter your Amazon login information and click Sign in, or click Create your Amazon account if you don't already have one. Enter a payment method, and click Add your card. You will not be charged if you cancel within the trial period. Complete the signup, and you'll be ready to start streaming. What's Included With Amazon Prime Video? Prime Video includes access to hundreds of thousands of movies and television episodes that you can stream on demand. 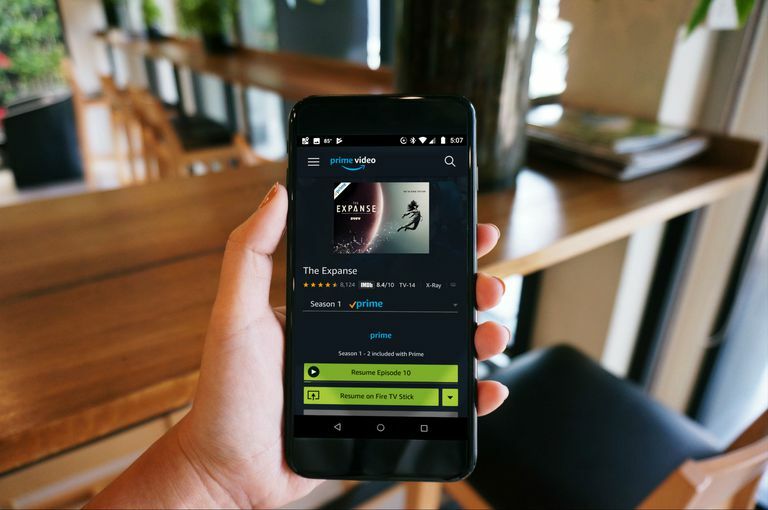 Like Netflix, Hulu, and other streaming services, Prime Video offers a mixture of movies and television shows from big studios and networks and their own original content. The vast majority of the content available through Prime Video is on-demand, which means you can stream it any time you want. There is no live television available, with the exception of a limited number of sports games, and live content from premium add-on channels like Starz. If you navigate to amazon.com/Movies-TV-Prime-Video, you can see all of the movies and TV shows that are available through Prime Video. You can use Prime Video to stream movies and television shows on most computers with a web browser like Chrome, Firefox, or Edge. All you need is a computer that's powerful enough to stream video, a broadband internet connection, and a compatible web browser. Click a movie or television show you want to watch. Look for the blue and white Prime banner on the upper left corner of the thumbnails of shows and videos. If you don't see the banner, the video isn't available through Prime. You can also stream movies and television shows through Prime Video using the Prime Video app. Amazon has a lot of apps, including the Amazon Shopping app and the Amazon Alexa app, so it's important to get the right one if you want to stream videos. Xbox One: Prime Video on the Microsoft Store. PlayStation 4: Prime Video on the PlayStation Store. Fire: Prime Video is included by default on Kindle Fire and Fire TV devices. Amazon Originals are exclusive videos that you can only stream from Prime Video. Amazon produces, and buys the rights to, a variety of feature films, television shows, and documentaries. Amazon Originals are a lot like Netflix and Hulu originals, since you have to subscribe to a service to see them. The main difference is that Amazon typically releases their movies in theaters prior to making them available for streaming, which has allowed their movies to win Oscars and other awards. If you want to watch dramas like The Man in the High Castle, action series like Jack Ryan, or comedy shows like the live action revival of The Tick, Prime Video is the only place you can get them. Is Amazon Prime Video a Cable Replacement For Cord Cutters? Prime Video isn't really suitable as a true cable replacement for cord cutters, because it doesn't have live television. True cable replacement services like Sling TV, YouTube TV, and Hulu With Live TV all include live feeds from the major networks and cable channels in addition to on demand content. You can watch a limited amount of live television on Prime Video, including select NFL Thursday Night Football games, but cord-cutters in search of a real replacement for cable need to look elsewhere. Prime Video is a good option for cord-cutters to have available, and it does have enough content to offer a great alternate entertainment option for cord-cutters who aren't interested in watching live television. What Are Prime Video Channels? In addition to all of the content that Prime Video includes for free, the service also allows you to sign up for add-on channels. These are primarily premium cable channels like HBO, Showtime, and Starz, but you can also subscribe to CBS All Access and a number of other services through Amazon Channels. Most Amazon Channels provide some type of free trial period, so you can check them out before you have to pay. After that, Amazon charges you a monthly fee for each channel you subscribe to. Amazon Channels all include on-demand content, so signing up for HBO or Showtime gives you access to HBO or Showtime's original shows through Prime Video. Some Amazon Channels also give you access to a live feed of the channel, which is the other way you can watch live television on Prime Video. You can access both on-demand and live content from Amazon Channels through the same website and apps that you use for Prime Video. Can You Rent Movies From Amazon Prime Video? In addition to the thousands of movies and television episodes included for free with Prime Video, Amazon also provides access to a massive library of paid content. You can rent digital downloads of movies and television episodes from Amazon, and you can also buy them to keep forever. This doesn't require an Amazon Prime membership, but as a Prime member you use the same exact interface, account, and billing information to rent and buy digital movies that you use for Prime Video. If you don't see the blue and white Prime banner on the thumbnail of a movie or TV show on Amazon Video, then that means it isn't available through Prime Video, and you can either rent or buy it. Netflix vs Hulu vs Amazon Prime: Which One Is the Best?